Every year, on the second Saturday in July, the greater part of the population of that part of the world – up to a million people – would crowd up to the walls of the great cathedral, cramming the aisles so that it was impossible to move, for the service of the Durham Miners’ Gala – the so called Big Meeting. The bands of the three collieries at which most men had been killed during the course of the year would play as they marched into the cathedral – the booming of the bass drum, pounding with a funereal slowness, heard first in the distance, becoming louder and louder, then as it entered the cathedral, the droning and the grinding of the bass, swelling and filling the cavernous interior. Then the banners, draped in black, were carried up the aisle and placed on the high alter. 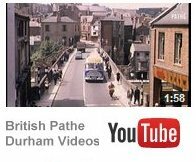 Up to the 1960s, Durham Big Meeting was bigger than Christmas. On that day, the most hardened capitalist could breath the atmosphere of socialism, could become giddy, drinking it from the very air. Early, early in the morning, the people of the city could hear a faint wheezing and a sighing carried on the still air of a high summer’s morning – the sound of the bands marching towards Durham – not plaintiff and heartfelt, as they played into the cathedral, but booming and crashing, triumphant and majestic along the country lanes. Then, all of a sudden, they were descending along their different routes into the centre of the city, and the air would be filled with the delirious cacophony of two hundred bands, each playing a different tune. The shops would all be boarded –up against the crushing and the pressing of the hundreds and thousands of onlookers crowded along the route. Down they marched towards the racecourse where the speeches would be held, past the County Hotel where the speakers – the most eminent socialist politicians of the day – and the union leaders, stood watching from the balcony, everyone smiling and waving in the great, reverberating bowl of sound. And over their heads swayed the great banners of the lodges, with their messages of hope: ‘Unity is strength’, ‘All men are brethren’, ‘The Future is in your hands!’ – the lodge officials marched solemnly before the banners, behind them the work – hardened faces of the miners in their cloth caps and blue serge suits, evincing a flinty – eyed pride on their annual day of glory. 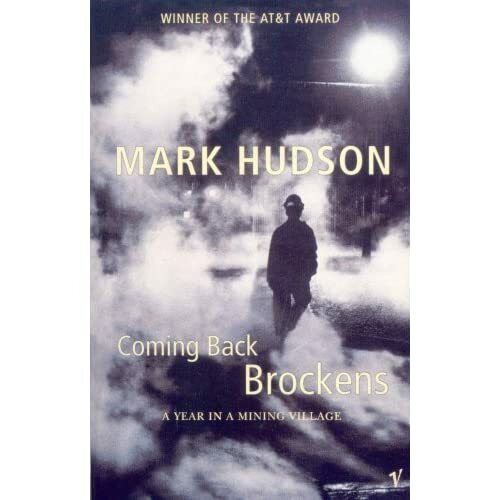 This extract was reproduced with the kind permission of Mark Hudson, from his book – Coming Back Brockens A Year in a Mining Village. The book was first published in the United Kingdom by Jonathan Cape of Random House, 20 Vauxhall Bridge Road, London.